Equity Bank Group Tanzania has announced a partnership with the Tanzania Revenue Authority (TRA) that will make it possible for tax payers to submit payment through the banking network and will facilitate the payment of various taxes including customs and excise taxes on import duty, excise duty, pay as you earn (PAYE) and VAT. 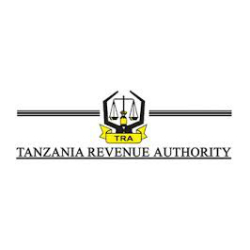 The banking systems at all nine branches of Equity Bank in Tanzania have been integrated into the Revenue Gateway System (RGS) of the TRA to accept Common Cash Receipting System (CCRS) payment of taxes and will be available to all TRA clients including non-Equity Bank account holders. According to Joseph Iha, Managing Director of Equity Bank Tanzania, the bank is currently exploring plans to fully expand the service in the coming months to its 330 agents countrywide as well as to its e-banking and mobile platforms. Also speaking at the joint press conference, Senior Accountant TRA Custom and Excise, Paulina Ngowi, indicated that the expertise that Equity Bank brought to the partnership would relieve strain on the TRA systems and facilitate the collection of revenue. Taking advantage of the new service at Equity Bank would require TRA clients to submit either a TRA assessment form for customs and excise payments or a control number printout to the bank confirming the payment amount to be received by the bank, who would then issue a confirmation of payment to the taxpayer.